Greg Davies is a Welsh stand-up comedian. 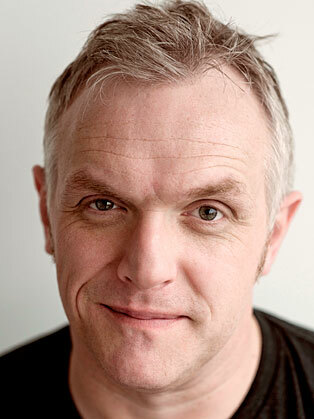 Greg Davies is a Welsh stand-up comedian and actor known for his roles as Greg in We Are Klang, Mr Gilbert in The Inbetweeners and Ken Thompson in Cuckoo as well as for his guest appearances in Mock the Week, Would I Lie to You? and Fast and Loose. Greg is the writer and star of critically lauded Channel 4 sitcom Man Down, which will be returning for a second series. After playing infamously psychotic Head of Sixth Form ‘Mr Gilbert’ in The Inbetweeners (Channel 4) and its two spin off feature films, Greg went on to appear in BBC Three’s Cuckoo alongside Andy Samberg and Taylor Lautner, which earned him a BAFTA nomination for Best Male Performance in a Comedy Programme. Greg will also be taking the title role in UKTV’s new comedy show Taskmaster. In 2013 Greg returned with another sell-out tour with The Back of My Mum’s Head. Greg’s debut solo stand up show Firing Cheeseballs At A Dog was nominated for the prestigious Foster’s Edinburgh Comedy Award in 2010, and went on to have a thrice extended sell-out national tour. Greg’s TV appearances include hosting Would I Lie To You (BBC1), Never Mind The Buzzcocks (BBC Two) and Live At The Apollo (BBC One). He has also made guest appearances on The Royal Variety Show, Room 101 (BBC One), Mock The Week (BBC Two), Let’s Dance For Comic Relief and Sport Relief (BBC One), The Graham Norton Show (BBC One), Live At The Apollo (BBC One), Frank Skinner’s Opinionated (BBC Two) and 8 Out Of 10 Cats (Channel 4). Greg was team captain on two series of Ask Rhod Gilbert (BBC One) with whom he also appeared on BBC Two’s Dangerous Roads. Greg is one third of the anarchically brilliant sketch act We Are Klang, who performed four sell-out Edinburgh Festival shows and was nominated in 2006 for the Edinburgh Comedy Award. With We Are Klang, Greg wrote and starred in the group’s own sitcom series and a one-off comedy entertainment special for BBC Three.